The Clos Hauserer is located just below the GC Hengst limit, on a very rich marl limestone soil. For many years in the 1980’s, we really struggled to bring the natural vigour down, in order to avoid diseases and early rot. This can be done through deeper ploughings (force the roots down) and allowing a dense natural cover crop to grow. Naturally, this also allows the vines to be less affected by rainfalls just before the harvest. In 2006, it was a crucial factor! The grapes were very ripe, without any grey rot and kept great acidity. Despite a year long fermentation, the wine still kept some sweetness. 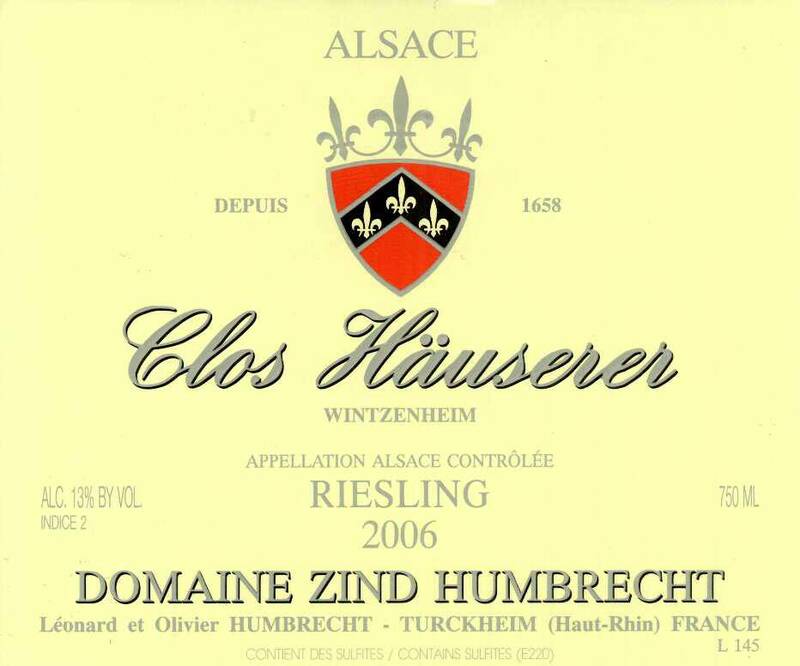 1/2008: the nose is classic Clos Hauserer: lots of minerals, stony aromas, citrus fruits. Still quite closed today (before bottling), but the palate reveals such complexity, that it is easy to forecast a great development. The mouth is characterised with great acidity, certainly responsible for the slightly higher residual sweetness, but just like in 2005, this vineyard almost needs it. The finish is clean and crisp.